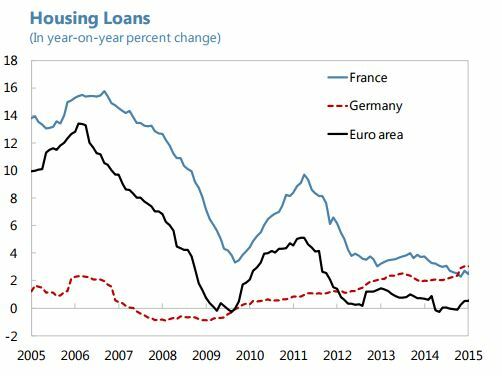 On the housing market, “they [the French government] do not see risks to financial stability at this point, given prudent lending practices based on repayment ability, the predominance of fixed-rate mortgages, and the mortgage insurance scheme”, according to the new IMF report on France. 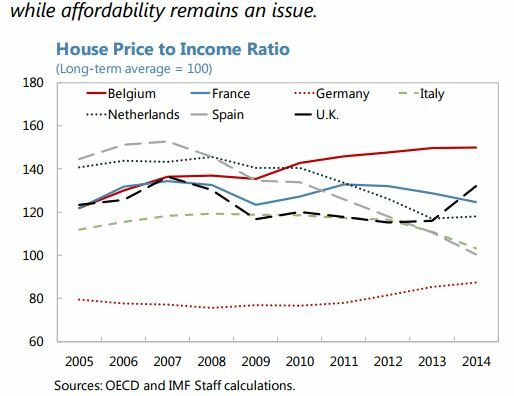 A separate IMF note on the Financial Sector, Housing Prices and Private Balance Sheets notes the following: “House prices have continued to decline gently since their peak in 2011, but affordability metrics remain above long-run averages. 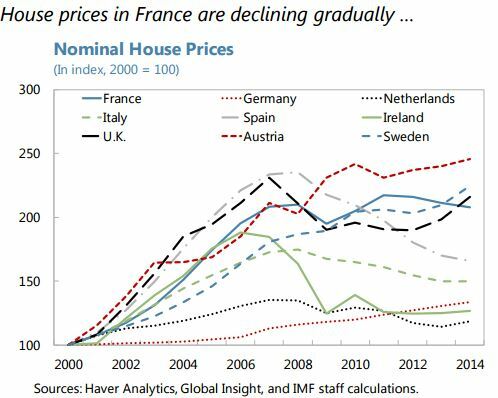 House price overvaluation is currently estimated at around 10–15 percent. Nevertheless, household debt appears manageable, at around 10–15 percent.